The Krishna.com Store is operated as a service to the public to distribute religious scriptures about Lord Krishna and provide items essential for practicing a Krishna conscious life at home. Proceeds from the store support Krishna.com, the website all about Krishna. 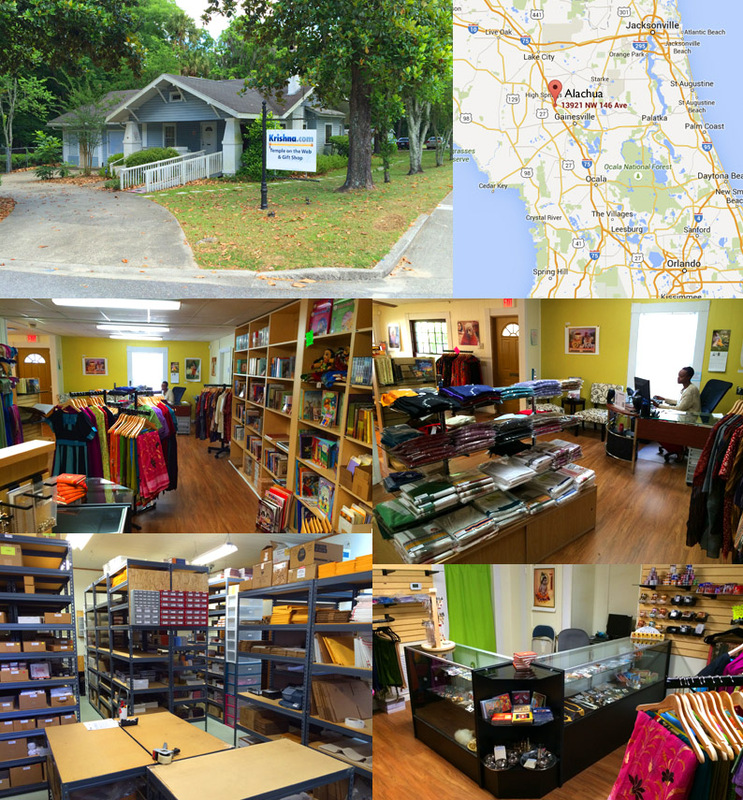 We are located in Alachua, Florida, 20 miles north of Gainesville, 3 miles from Interstate I-75 exit 399. While we mostly process online orders as a service for people who live far away from temples, the store is open for walk-in customers Mondays, Wednesdays and Fridays, 12:00 noon to 4:00 pm. If you live nearby, you can place your order online and pick it up in our store to save shipping.